Bangalore, March 10, 2017: Nickelodeon is back with the biggest kids awards of the year – Nickelodeon Kids Choice Awards 2017. With none other than the WWE superstar John Cena hosting the awards night, it is going to be double the fun. The show will feature celebrity guests, musical acts, live entertainment and the very famous SLIME stunts. 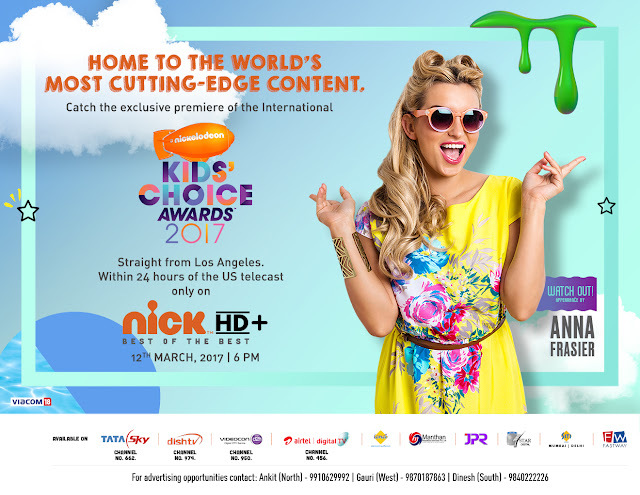 So, tune in to Kids Choice Awards 2017 as kids vote for their favorite celebrities and SLIME them on 12th March,7pm onwards only on Nick HD+.